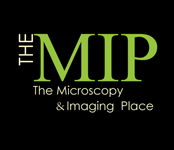 XEI Scientific, Inc® contracted the-MIP to conduct a survey regarding a new product addressing needs in the Electron Microscopy laboratory. The MIP helped XEI create a list questions for the survey, executed it, and provided us with the raw data and analysis in a timely manner. The results allowed us to make strategic planning decisions relating to the development of a new product within a short time. Additionally, valid sales interest for current products was found among the survey participants that led to a relatively high number of short term sales opportunities.